Pieced Pattern with Fusible Applique elements. Pattern includes full-size reversed templates and full-size placement drawings. 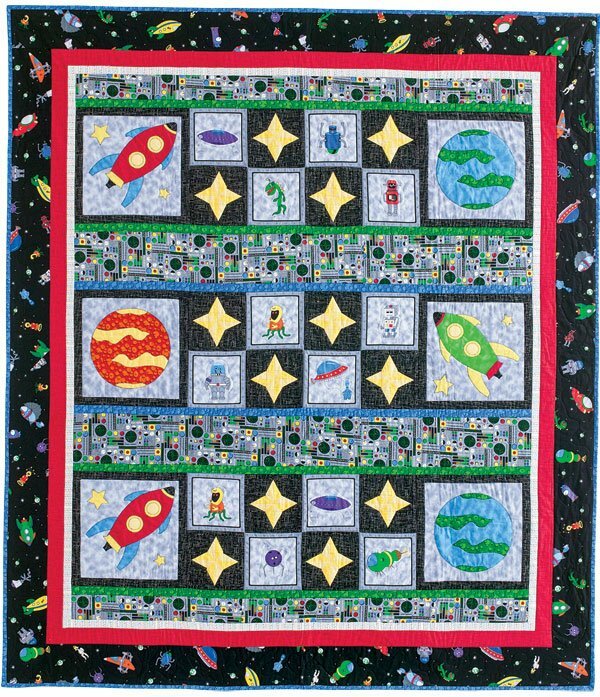 Fabric shown in photo is from Quilting Treasures and was designed by Matthew Pridemore.